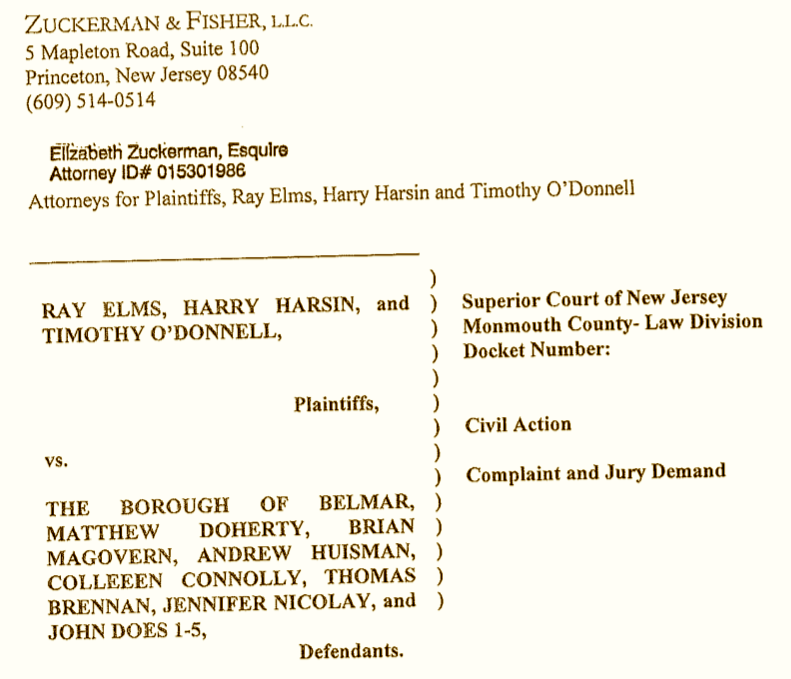 Common Sense For Belmar › Umm…Weren’t You Named In It? This was written by admin. Posted on Friday, February 8, 2019, at 5:36 am. Filed under Uncategorized. Bookmark the permalink. Follow comments here with the RSS feed. Post a comment or leave a trackback. “I’m happy to have him back,” Brennan said. Tom Brennan voted yes to the whole fiasco and now he’s glad to have him back? Thank you Tom for another senseless, troubling cost to Belmar taxpayers. #1 – Don’t get upset, the sadsack will be gone soon enough. Absolutely amazing that the person (doherty) who started all the slanderous lies about lifeguard stands being unattended (due to Connelly’s nose being out of joint during her television piece at 9th Avenue) now is a lying piece of excrement who knows nothing. The real story will come out when his rock is overturned. Wow, #5 you know more than most. That’s the tip of the iceberg. He (Matt) left just in time. As if these things that are coming to light while he was mayor are no longer his responsibility because he is no longer mayor. It’s insanity that this corrupt, amoral, lying opportunist is employed by the state. He belongs in an orange jump suit. He should be hauled in front of the people of this town and forced to explain WTF he did and why. Where are his breathless supporters?? Claire? Jen? Brian? Anyone?!? He is a criminal plain and simple, and if you turned a blind eye, then your complicit. He’s got a cushy patronage job and a big house and fancy cars all bought w lobby money and dirty deals. He used up this town until it no longer had anything left for him. It’s criminal behavior and it needs to be addressed. #8 – What we must understand is we’re operating in a narrow space of time. Yes, Mr. Walsifer was elected, but it won’t be long before the voters are tired of the hard times we’re about to experience and become nostalgic for the “good old days” of Matt & Co. They won’t/don’t understand what he did for long. So hopefully the mayor can straighten this mess out before the reaction sets in and the voters put some of these old misfits back in off, or get new misfits to sit on the council to replace the old misfits. Tell everyone you can about this blog, I do.